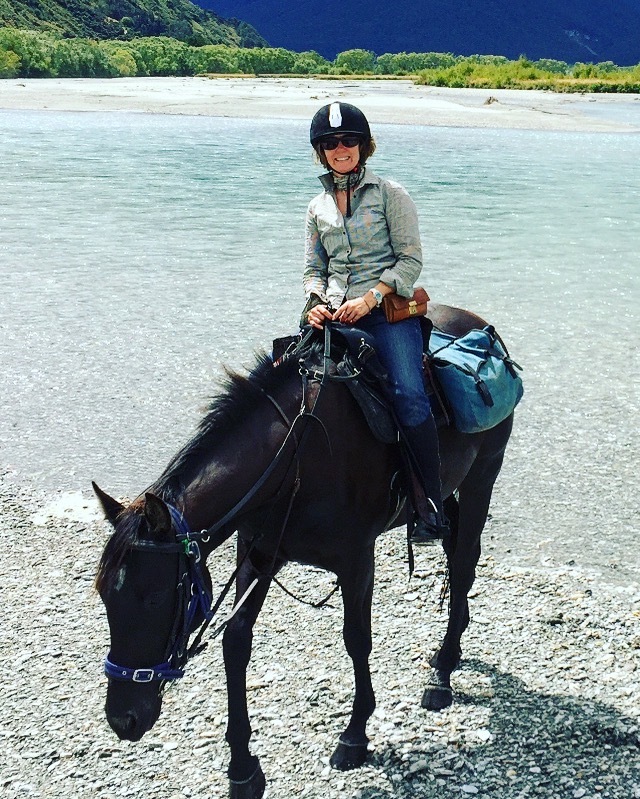 When we received Shaunna Kelly’s feedback form after she completed the Glenorchy Back Country Ride earlier this year, she had so many wonderful things to say that we thought it would be best if we just shared the form in its entirety with you! After all, there’s nothing better than hearing and learning about a ride than from someone who has experienced it for themselves. Were there any stand-out experiences (good or bad) with the accommodation and meals that you would like to mention? I loved that nothing matched as we sat and had dinner and breakfast in the shearing shed hut and it was just like it would be in our shearing kitchen at home. We offered the suggestion of having a billy on a little gas burner at lunch time picnics (everyone would have their own pannikin in their saddle bag) for a cuppa if people wanted one. Were you happy with the horse that you rode? I fell in love with ‘my’ horse Gamble! I told Duane and Deana that Gamble needed to come home with me to Australia. Gamble was the only mare in our group of 13 horses and she was so kind, courageous and full of an inner strength. Gamble was also the smallest horse (which was fine, I’m pretty small too! ), but that did not stop her from trying to keep up with the big kids. I absolutely enjoyed every minute I had on Gamble through that seriously soothing, stunning and majestic country. Being so close to the Glaciers (several) including Earnslaw and being able to have them in our vision for two-three days. Also swimming in the Glacier waterfalls (sounds like we were the first group to do plenty of firsts including swimming in these icy waters)! In respect to your guides, were you happy with their level of service, knowledge of the environment and hospitality? Alex, Jessie and Shaun were outstanding in their passion for their horses, their positions and the role they played in this great adventure. They have a big responsibility, not only looking out for the guests but also the horses. They were all so easy to get along with, forth coming with lots of interesting information about the area and its history and nature. They genuinely enjoy contact with people which is important in a job like this and I not only told them I thought they were fantastic but I also told Duane what a wonderful job I thought they did. I have never done an organised horse ride before so I cannot compare but I think it was probably pretty good value. We would LOVE a testimonial about your globetrotting experience to share on our social media channels. From the rainforest to the mountains and those majestic waterfalls flowing from the amazing Glaciers, the Glenorchy High Country surrounds were stunning in their diversity. Being embraced by so many soothing sides of nature every waking moment of our days gave me such joy and peace. So many magic moments are framed in my mind for always. My ride Gamble, little but so brave, youthful and with the kindest soul, she just made this adventure the best ever. I left some of my heart behind with Gamble and hoped she enjoyed my company as much as I did hers every day. If you are interested in joining us on the Glenorchy Back Country Ride click here to be taken to the ride’s information page.